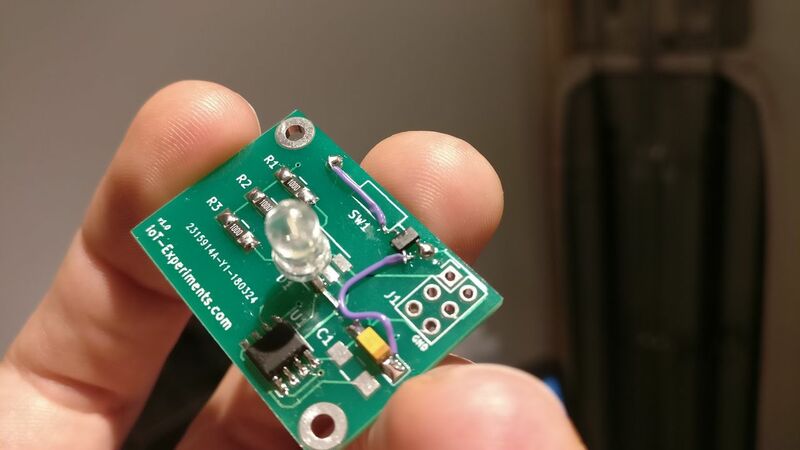 In this blog post, I will talk about a blinking device I built as a Proof of Value (PoV). The time counter can be reset with a magnet near the device. 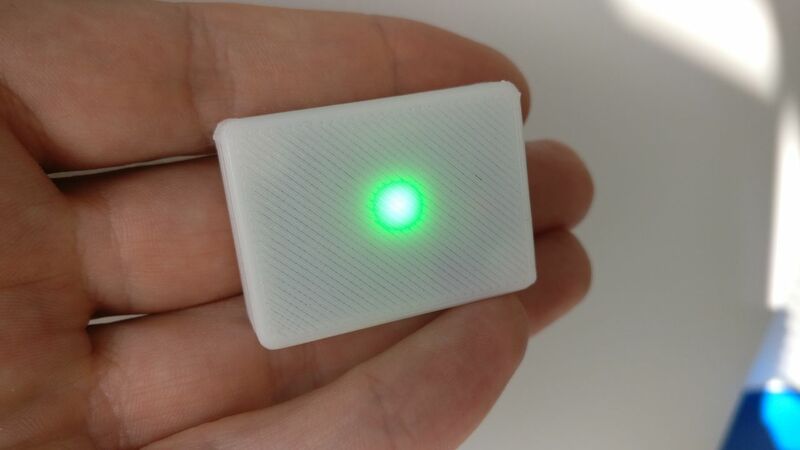 The device should be as small as possible, as it should be wear and visible. 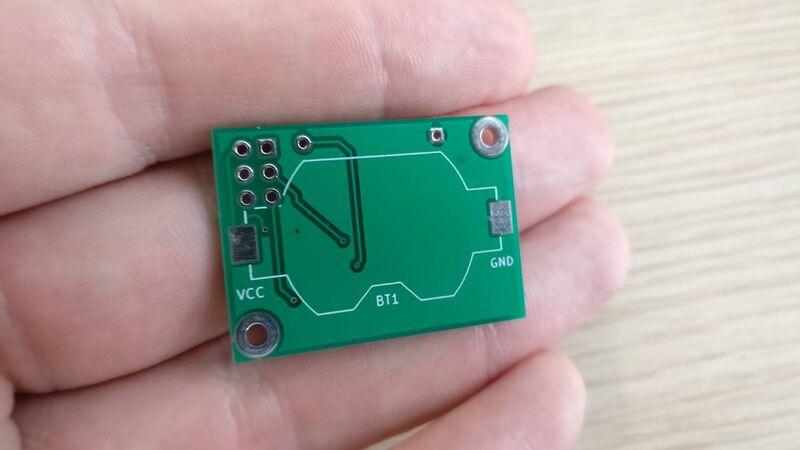 I will try to create a real PCB. It will be my first! I tried to use SMD components. As I have to solder them by hand, I used the 1206 package (3.2mm × 1.6mm), as they are quite easy to solder by hand. 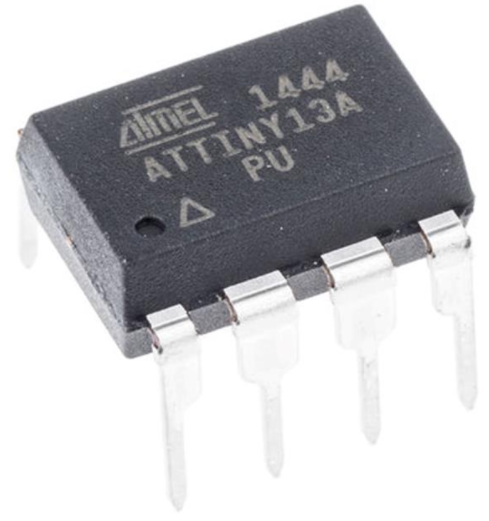 I chose an ATtiny13A. 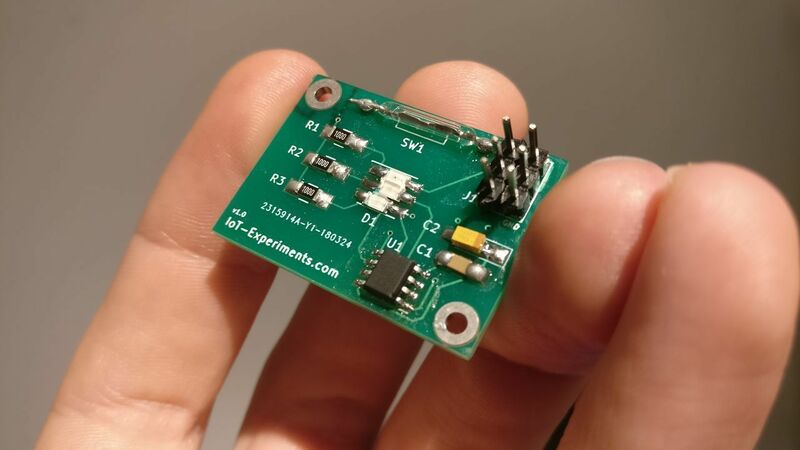 It is inexpensive, low power, and has more pins as necessary. 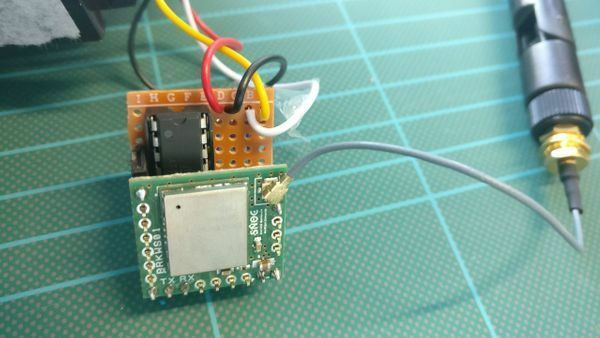 To be able to use it's tiny memory, I will not use the Arduino framework, but directly use the AVR SDK. 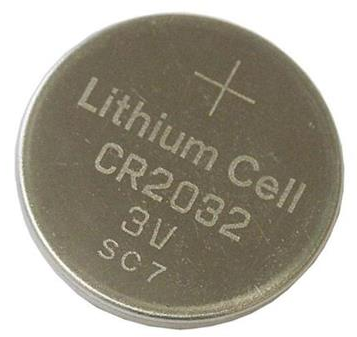 As I want a compact format, and have around 3V, I chose to use an CR2032 battery, which has a stable discharge curve. I had to chose an holder. I ordered few types. At the end, I chose the cheap white SMD. 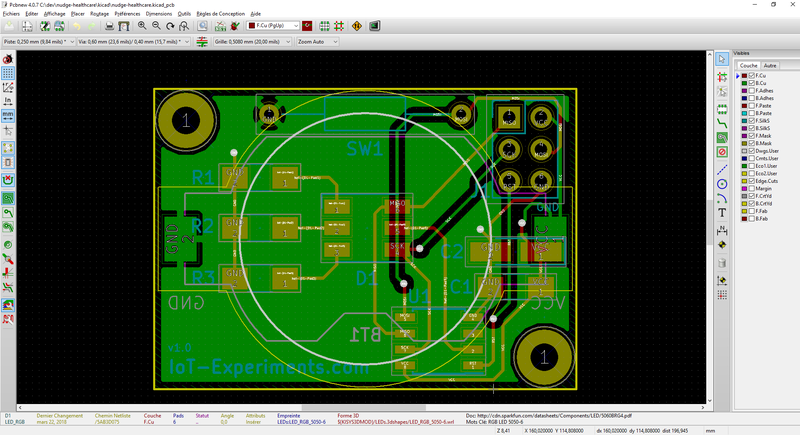 Not sure it is the right choice, as with this choice, I will have SMD components on both sides of my PCB. Too big for my purpose. I want my device to be as flat as possible. Not suited for my PCB. I think it could be a good solution for a disposable device. Not for the first iterations though. I think it's a good compromise. I used this one for my first PCB. As I want to have all the LED near each other, I chose a SMD LED package containing 3 LED in one. 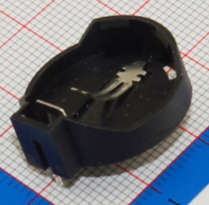 The size is 5050 (5mm side). Not easy to solder but easy to use. 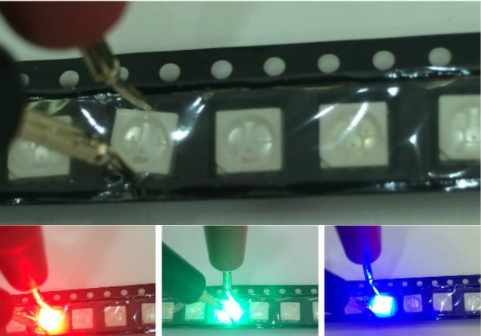 This package is quite easy to use, as the 3 colors behaves as standard single LEDs. 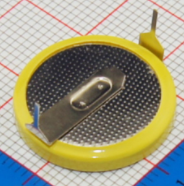 10µF tantalum capacitor (polarized) near the main power. 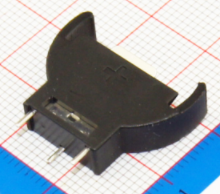 I wanted to use this sensor, but I have an issue: I broke three of them, tying to bend the pins. Moreover, it seems that the soldering can affect the sensitivity of the component. Other versions exists, which is protected by a plastic box, but I read that it is still fragile. 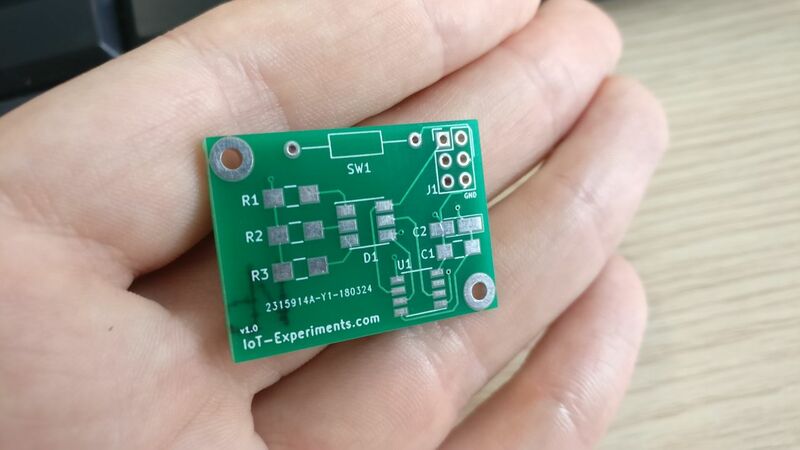 I will use this sensor switch for my first PCB, but I will also test some other solution, more expensive, but also more reliable. 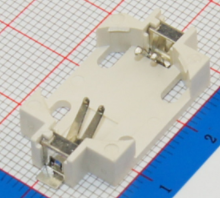 I also have some difficulties to find some small + cheap + SMD + low quantities reed switch. 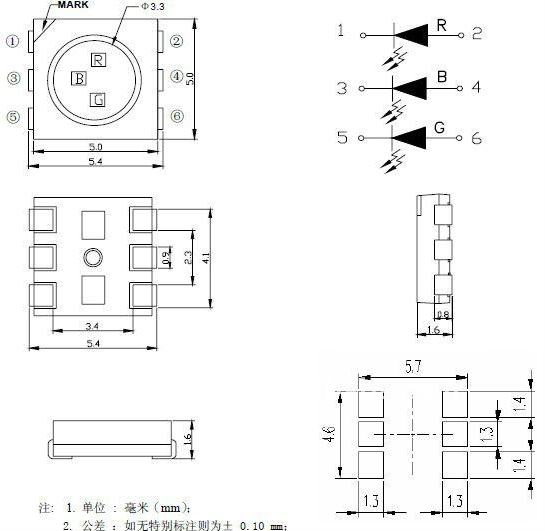 Magnetoresistive sensor IC, high sensitivity (7 G typ. ), nanopower, SOT-23 package. 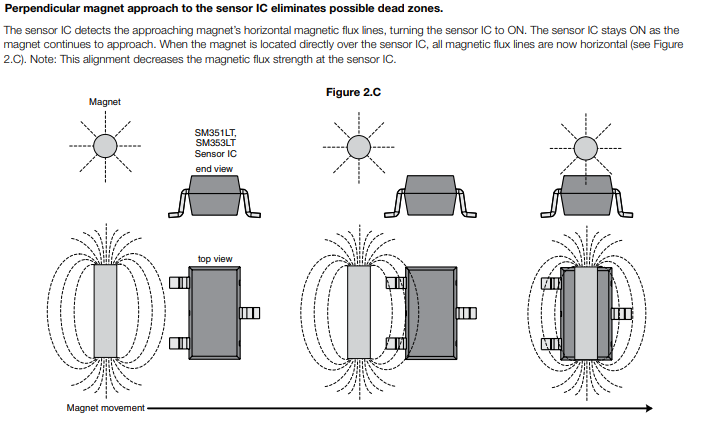 For applications requiring ultra high magnetic sensitivity (7 Gauss typical operate, 11 Gauss maximum operate) and a very low current draw (360nA typical). Operate Point	3 G min., 7 G typ., 11 G max. 1.65V min., 1.8V typ., 5.5V max. 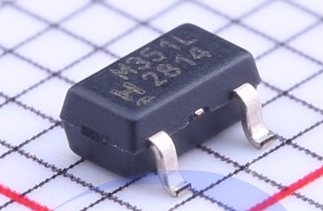 SL353 Series micropower omnipolar digital Hall-effect sensor IC, high-duty cycle, low power (0.33 mA, 2.8 Vdc), SOT-23 package. 2.2 Vdc min., 2.8 Vdc typ., 5.5 Vdc max. The DRV5032 device is an ultra-low-power digital-switch Hall effect sensor, designed for the most compact and battery-sensitive systems. 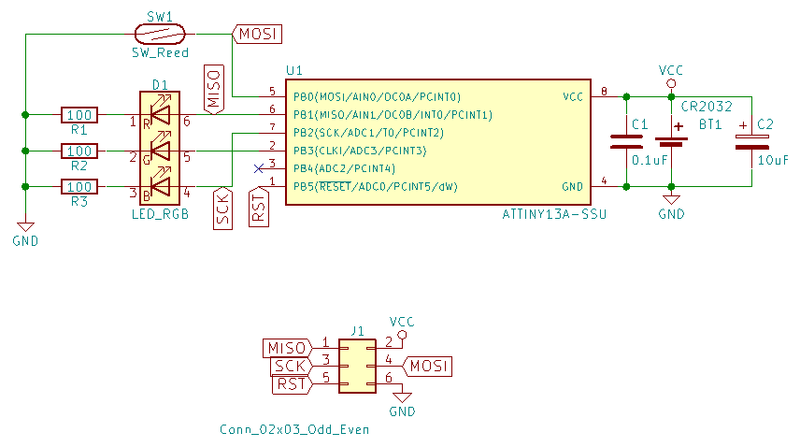 As I'm looking for an omnipolar version, with low power consumption, I chose the DRV5032FB version. 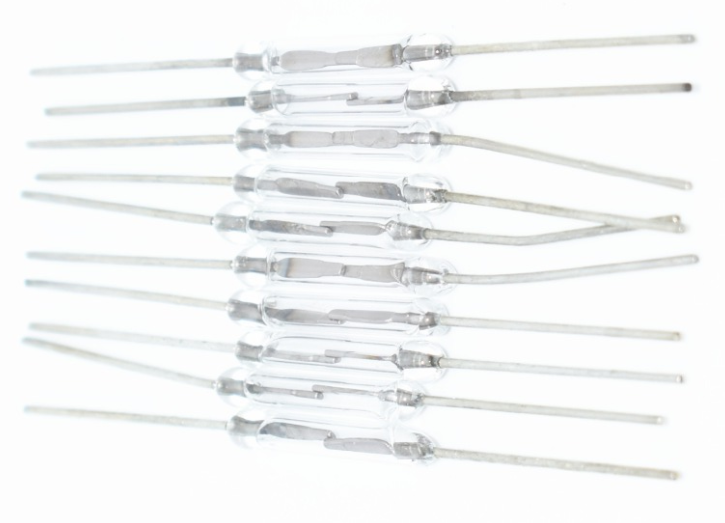 3x 100Ω resistors to limit the current in the LED. I used the 1206 package. Note: I should use a smaller value for the blue LED, but it was easier that way, and the blue LED is more a debug LED than anything. At first, I used 2 LEDs to display the state of the device. I added a LED and some decoupling capacitors. 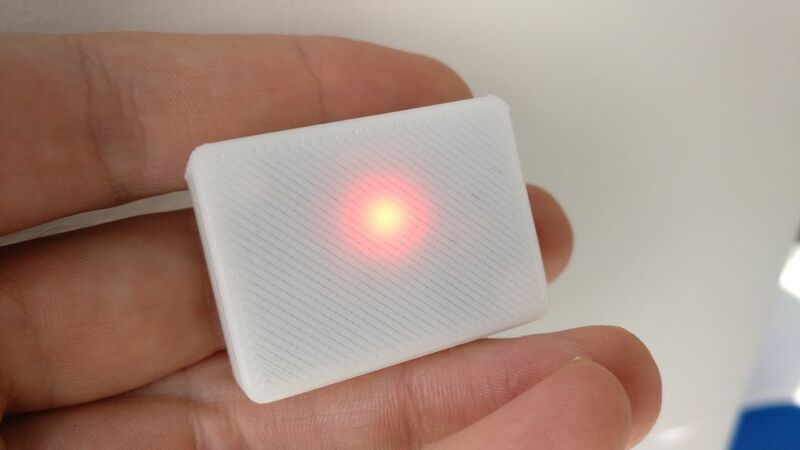 This design use the 5050 RGB LED (and use another PIN for the blue LED). I also changed the pins for the LED to simplify my PCB design. 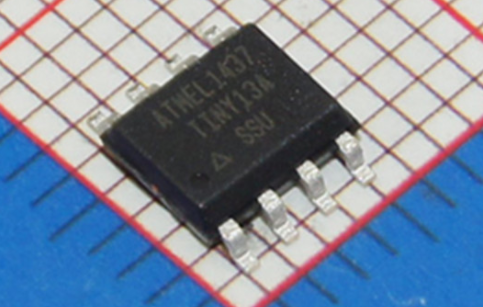 As I'm using the ATtiny13A with low flash, I tried to use as less Arduino function as possible. For example, I didn't use the pinMode(), digitalWrite() and digitalRead() functions, but I used the datasheet to write into the dedicated registers. 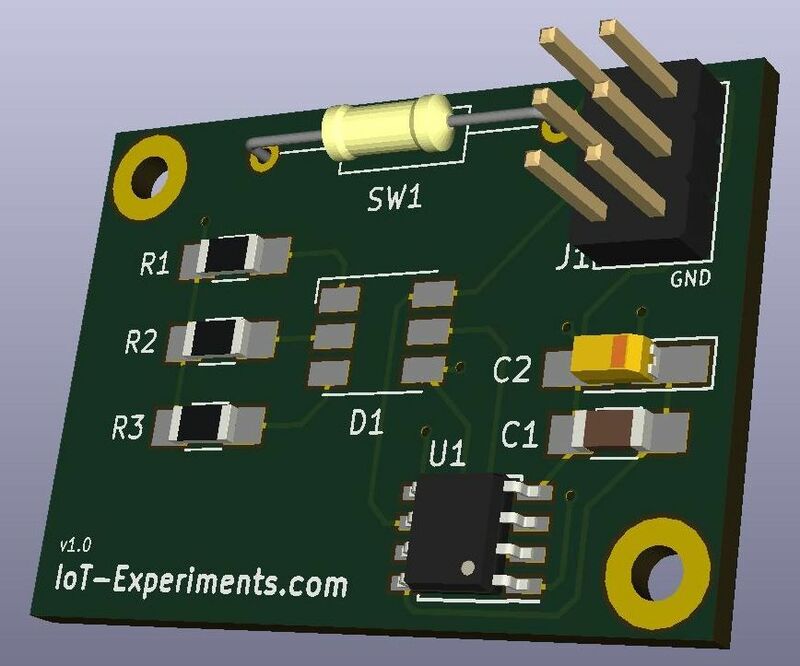 I created a PCB for the first time, with Kicad which is quite easy to use when you know the shortcuts. I watch some Youtube videos to understand how to use Kicad: Eric Peronnin (in French). This PCB uses 2 layers. I then ordered some PCB ! I was so happy when I received them ! Not a good idea to rotate the MCU at 180°, as I forgot that, and soldered it in the other way. As I said before, the reed switch is not a good idea: it take a lot of space on the PCB and is too fragile. At the end, I soldered it without bending the pins. It was quite easy to solder the components, with the exception of the reed switch. As I didn't received the 5050 LED yet, I used some SMD LED (green, red, blue). 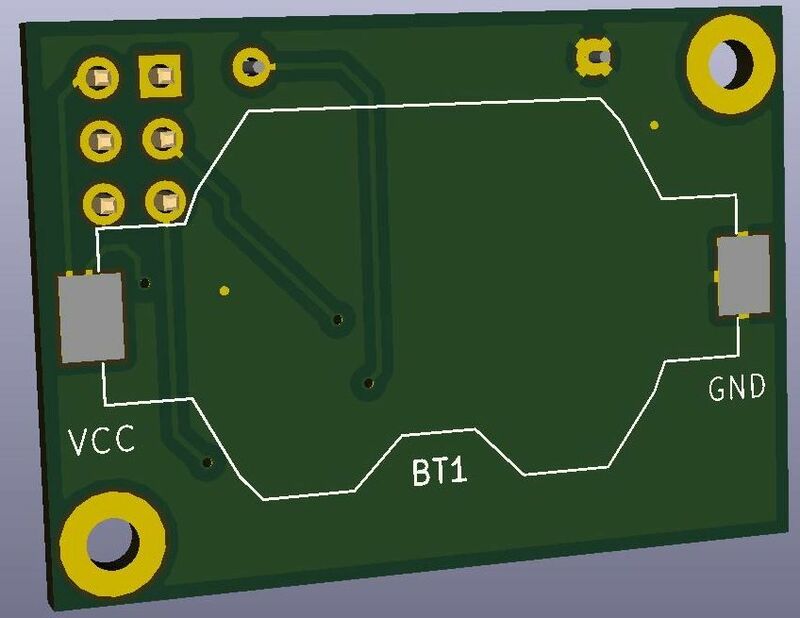 I also created another version with the SM351LT, with a wire between Vcc and the Vcc pin of the chip. Don't look on the big LED, I was out of SMD LED. 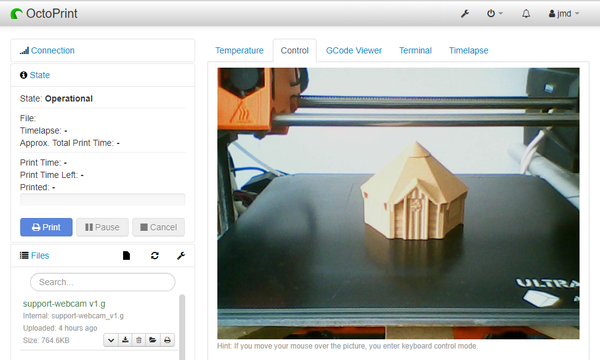 I un-soldered the 6 pin header to add the circuit to the case I printed. 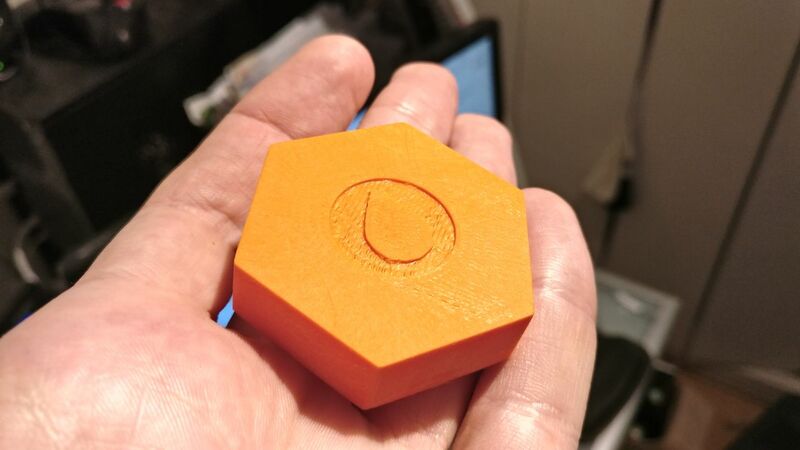 I created a few versions of a device for badging the wearable. Each one have a hole under it to put the magnets. 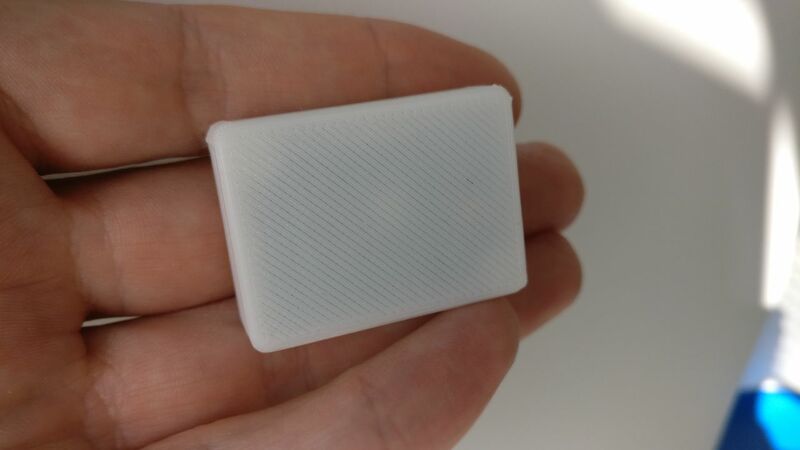 I printed them in ABS, to be able to cold vapor-smooth them. Note: The LEDs are still working at 2.2V. So, without taking the consumption during LED pulse phase, with the 220mAh battery we should have around 2400 days (220 / (3.8 * 10-3) / 24). I think that the battery will last easily more than one year. Not very far from the reed switch, and more reliable and compact. Not very far from the SM351LT. The detection range is about the same. 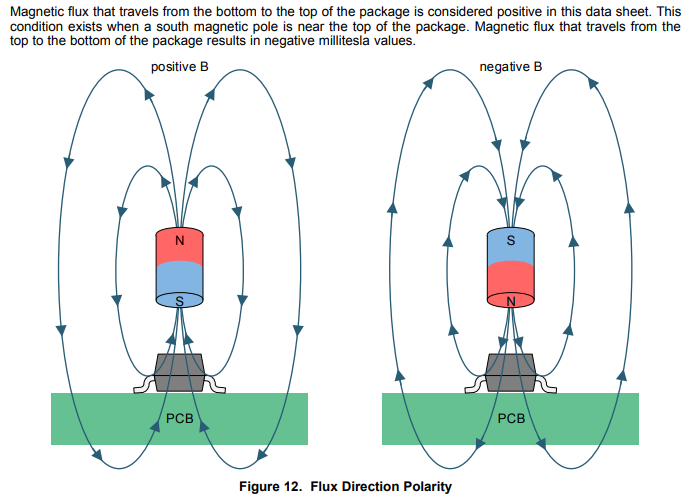 However, I'm not sure that the magnet polarity has an impact on the sensor. The device can already be used to test the value of the product. It will last more than one year on batteries, which is more than enough for this first iteration.